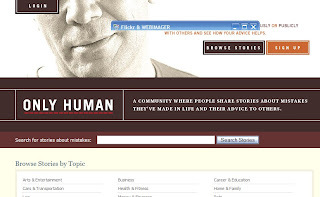 Only Human is an online community where people share stories about mistakes they've made in life and their advice to others. It is a simple community but interesting. You can post your mistake stories or read some interesting stories from other people there. I think you will learn a lot. Yes, we did mistake cause we are human.